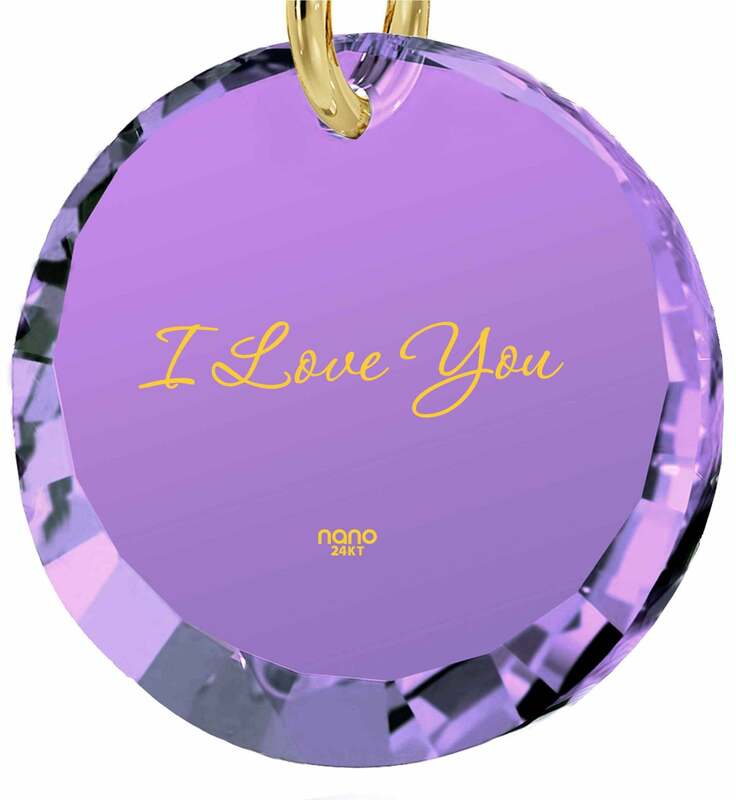 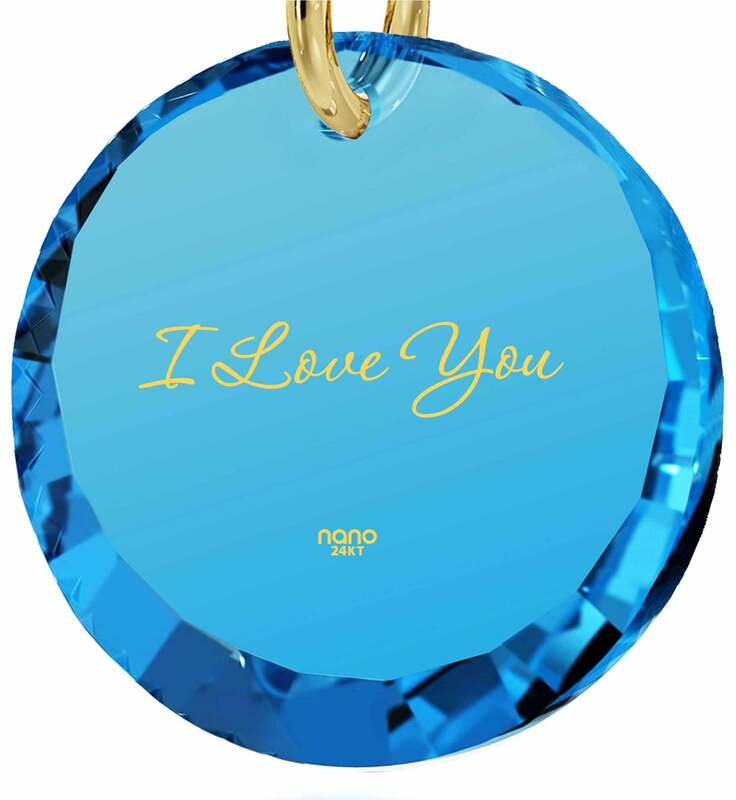 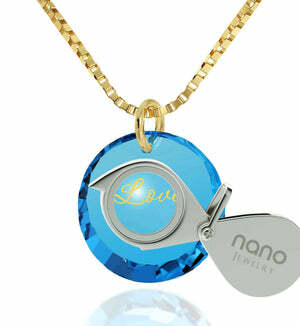 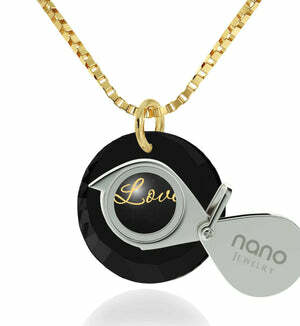 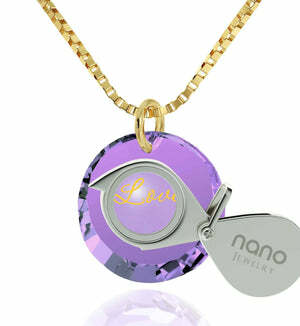 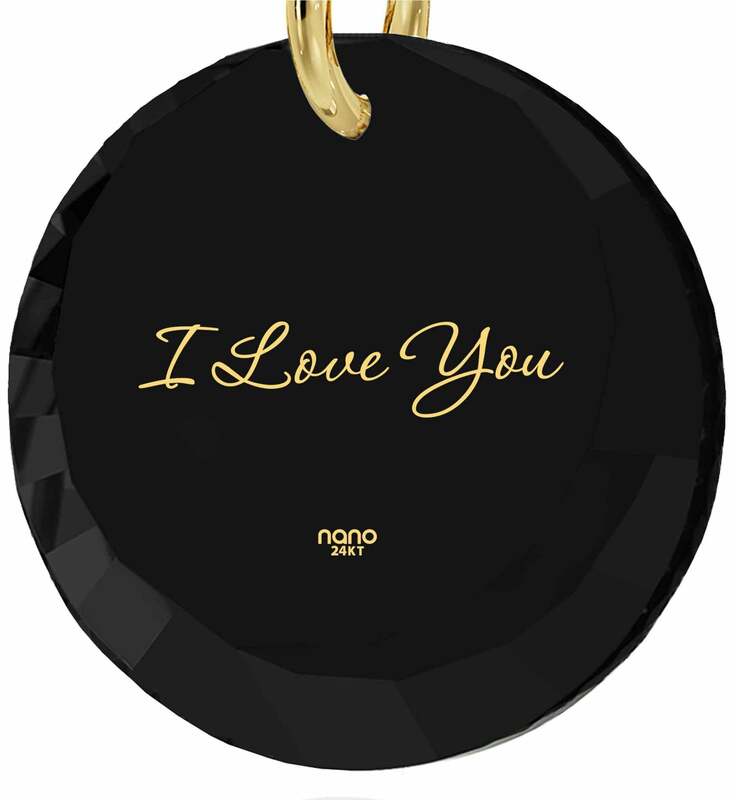 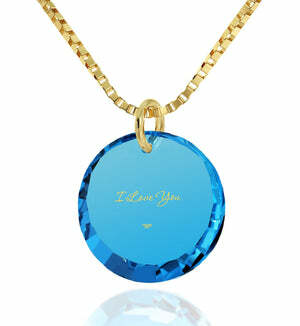 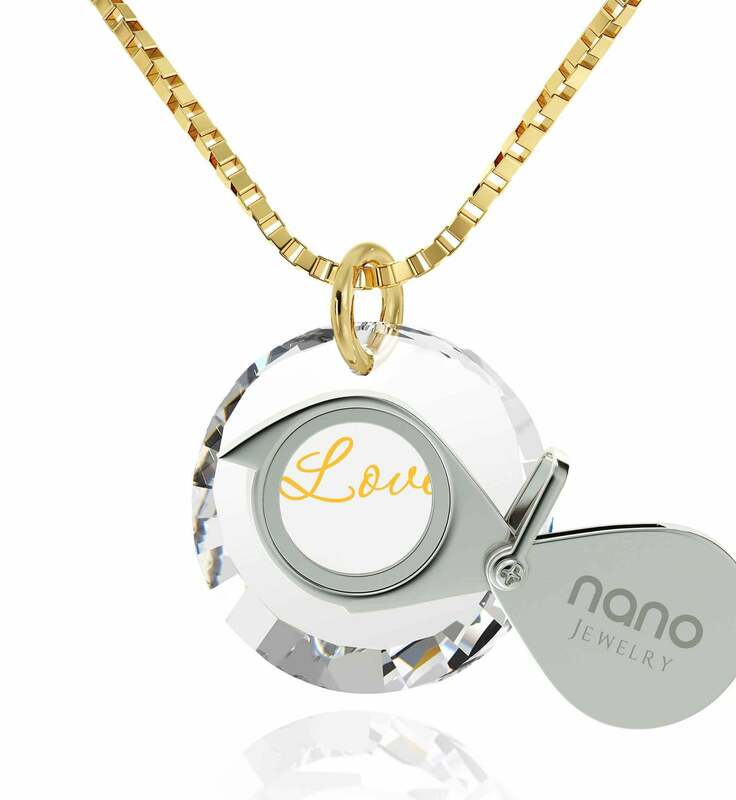 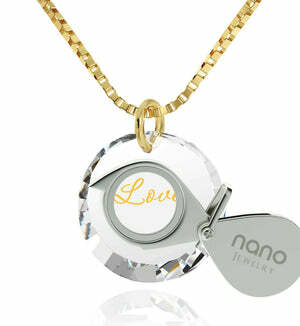 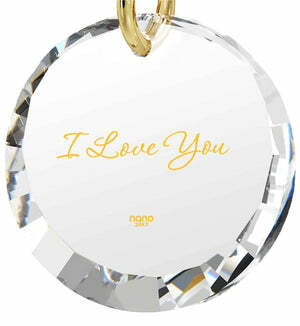 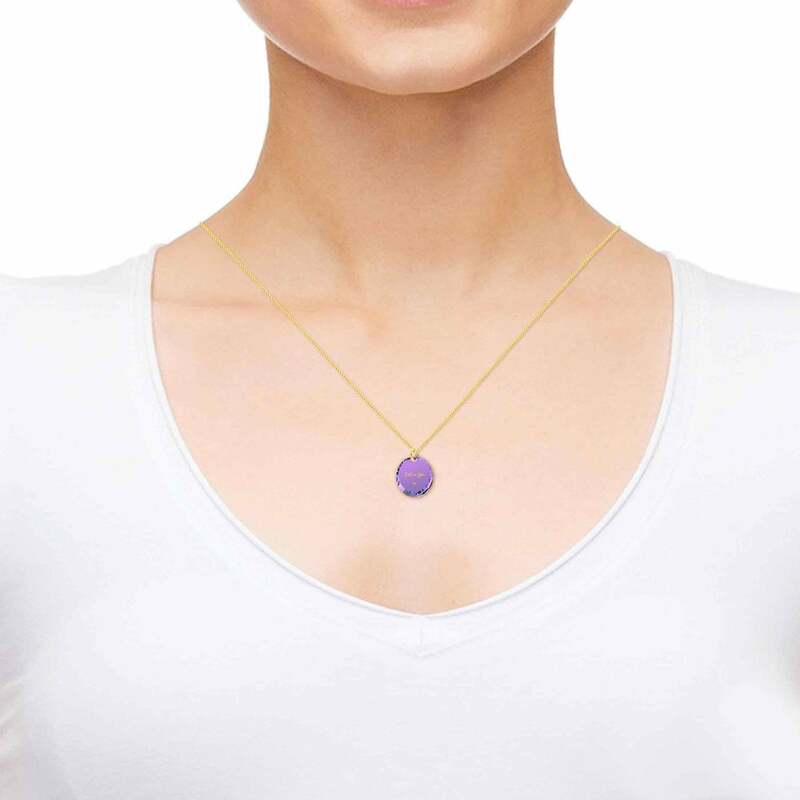 Love Gifts for Girlfriend, Buy Affectionate Golden Nano Jewelry Now! It is fascinating how a few sounds we make or some scribblings we jot down on a piece of paper can contain a whole world of meaning for the person they were directed to to discover. 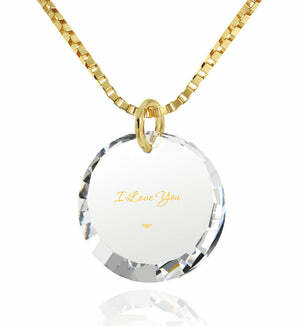 If that person happens to be your significant other, the words come easily. To immortalize those words and make her day with a cool gift for girlfriends at the same time, why not go for something unusual, like this ladies gold necklace? It might not be apparent right away, but it stands out among gold jewelry of its kind. 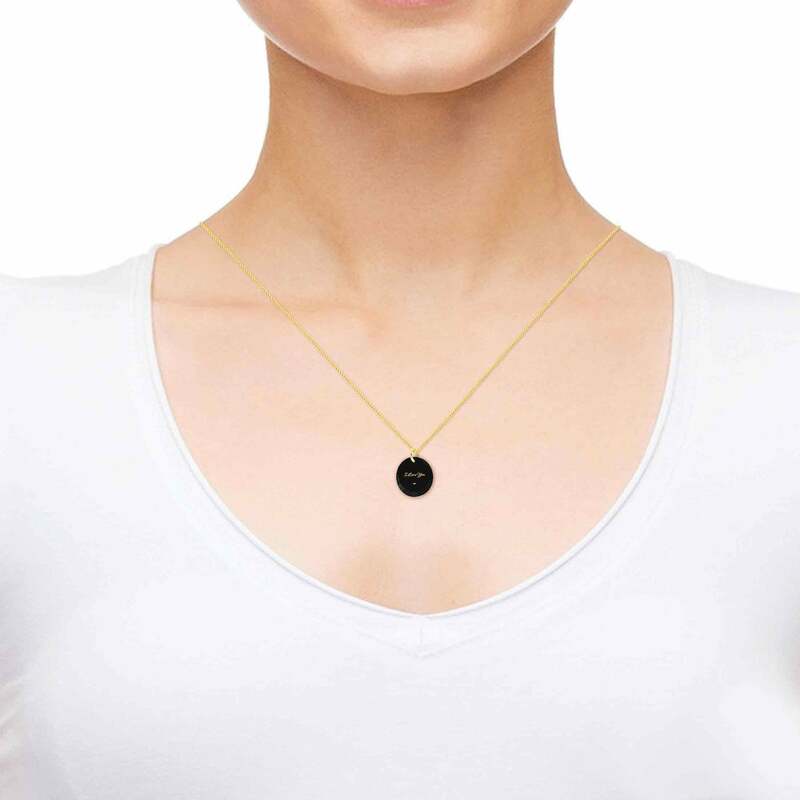 Those in the know will recognize its fine craftsmanship when they see it, and everyone that catches a glimpse of it around her neck is sure to be surprised by the 24k pure gold inscription gracing a round cubic zirconia crystal. 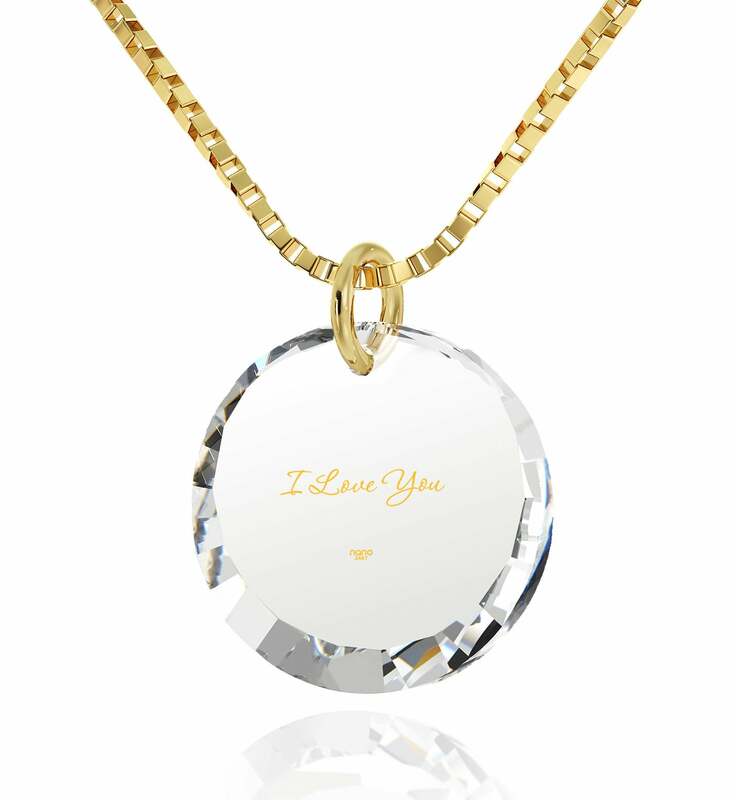 The inscription reads “I love you” in refined, flowing letters the intricacy of which can’t be copied by any other jeweler. On top of that, the words will never lose their shine, as they shouldn’t in real life either, making for a love gift for girlfriend unlike anything she’s experienced before. 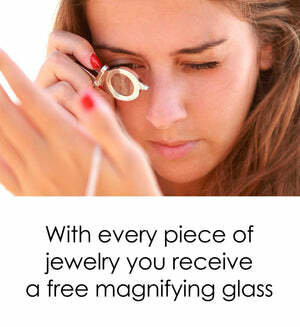 She’ll enjoy admiring the necklace from every angle and the petite magnifying glass we’ve provided will let her do this with ease. Cute presents for girlfriends always arrive in boxes almost as wonderful as they are, and this necklace is no exception. So take the plunge and celebrate your feelings for the woman you adore in a way that is worthy of her.